I thought Reese was passionate when we were together at the falls, but this was different. He’d been holding back then, not allowing himself to act. Now, he wasn’t. The force and desperation with which he kissed me–the feel of his hands heating, gripping–was overwhelming. And my breath struggled to keep up with the emotion. He anchored me to the wall with his body. Removing his hands from my legs, he brought my arms up and pinned them on either side of me as he buried his head into the crevice of my neck. His teeth elongated and softly grazed my skin. Fire ignited between my thighs, and I sucked air into my lungs. Lorenzo pulls me closer, then looks at my mouth and bites his lip. My knees go weak, and all I want to do is grab the back of his head and kiss him until I can’t see straight–but I’m determined to have my vision play out. There will be plenty of time for that later. This is only a small piece of my favorite scene. I know not much kissing, but totally swoon worthy! Previous postDaughter of Isis Cover Reveal Countdown Giveaway! OMGosh!! Two amazing swoons, too bad we only got a small piece of Rachels book… you have me intrigued!! 😀 It’s really a great scene! My all time favorite! Great swoons. 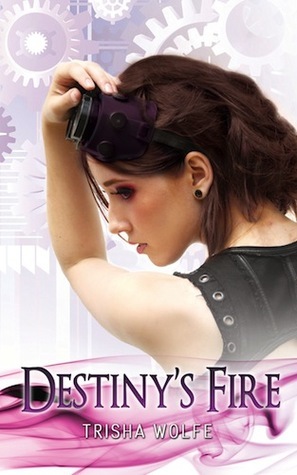 Look forward to reading Destiny’s Fire. It’s an awesome read! Hope you enjoy! One day soon I will read Destiny’s FIre!!!! Awesome swoons! HA! I will definitely be reading Destiny’s Fire at some point! I think I have it on my Kindle… I think, somewhere. I love both of those swoons! Definitely need to push them higher on the TBR list!!! Great Swoons Kelsey! The first one was smokin’ hot, and the second one builds up the sexual tension and is sweet! These area great swoons! Really loved that you shared a hot and sweet swoon. Still need to read these books :). There both great novels! I hope you enjoy them! Thanks! I hope you enjoy 16th Century! Trisha and Rachel are such epic swoon writers 🙂 Thanks for sharing these passages, Kelsey!